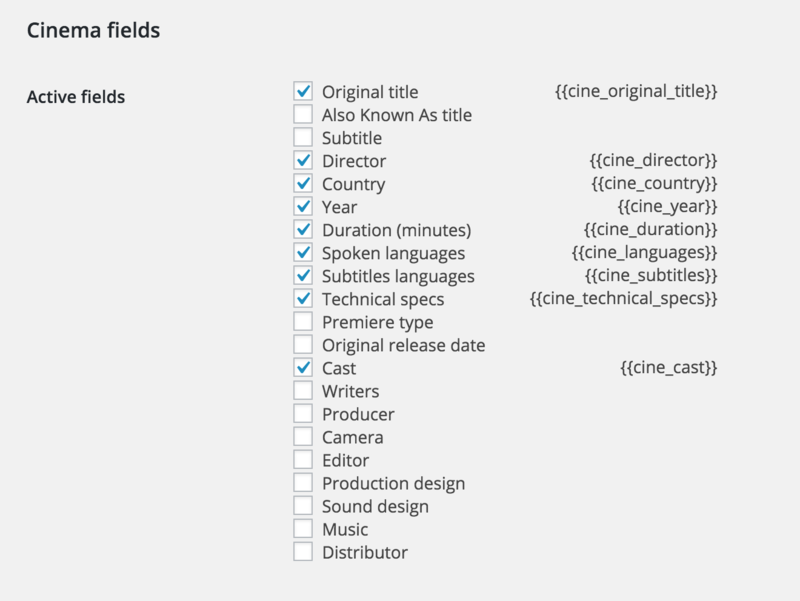 Add details such as Director | Country | Year | Duration to your movies. This extension to the Theater for WordPress plugin adds input fields that are essential to cinemas. Simply choose which fields you’d like to use on your website, and where to show them. Install the Cinema for WordPress plugin. Choose which fields you’d like to use on your website, and where to show them. Check out the other extensions for cinemas, for example the Timetable extension.